Walking across the Oval, you might not think twice about the tall, scholarly individual walking across campus. You might totally mistake him for a professor walking to class. After all, Dean Manderscheid is a professor of mathematics, having taught for well over 30 years before becoming a Dean in academia. However, today he spends most of his time traveling around the country while also overseeing the largest and most diverse of Ohio State’s colleges, the College of Arts and Sciences. Although a humble and warm person, he holds a position of immense influence for the university — he is the visionary behind a large section of the university’s academic growth, expansion and future. What is a college Dean? What does it take to be the Dean of Arts and Sciences, one of the largest colleges in the nation? What is this man’s deal with donuts? After sitting down in his office in University Hall, my questions were answered as I had the opportunity to learn more about the man behind “Donuts with the Dean.” I learned that the Michigan-native came to the university from Nebraska a little over a year and a half ago and that he perfectly fits in the Arts and Sciences, due to his own wide realm of interests, from the social sciences to mathematics. How do you like Ohio? How is OSU different than Nebraska? Can you tell me about Donuts with the Dean? Was it your idea? Can you tell me about the event “Win the Dean’s Money” that took place right before Spring Break? Why did you choose to engage with students on both of these forums? What do you think is the most important role of a Dean? Are there any potential new majors in the making for the future? You have a background in mathematics, where did that stem from? 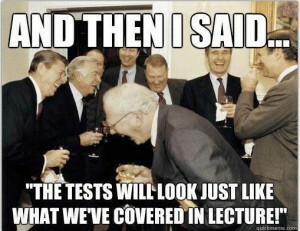 What is a misconception that students might have about a Dean? How is the college of Arts and Sciences different from other colleges? When you do meet with students, what types of issues do you normally meet about? 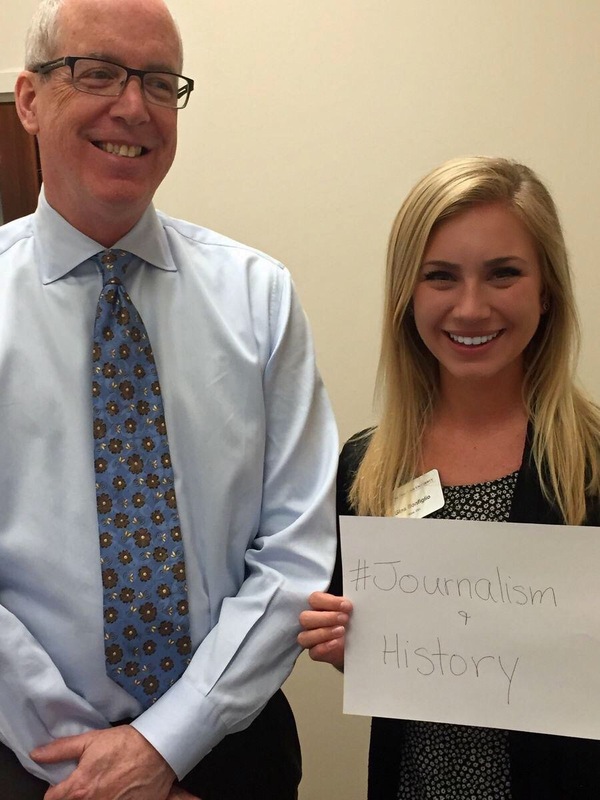 Do you have any comments about the faculty you interact with at Ohio State? If you could change one thing about the role of a college Dean, what would it be? Instead of this being a one-way interview, the Dean spent just as much time asking me about my life as a student. We talked for more than an hour about my studies, family, favorite classes and my goals for the future. What is your favorite part of your job in general? I noticed you said you took a lot of social science course in addition to your mathematics, do you think these interests help you with your role in the diverse College of Arts and Sciences? Do you have any goals for your college in the future? Do you have any advice for students regarding their academic career/experience? 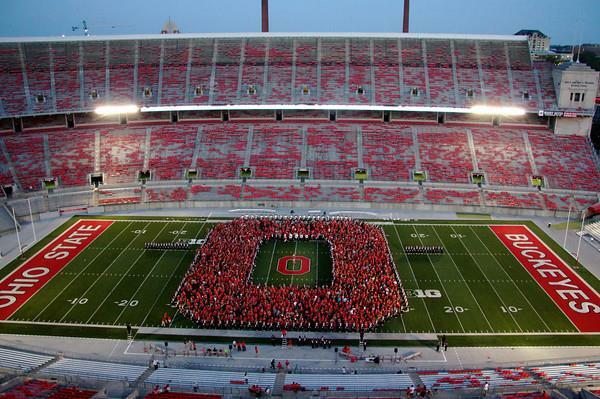 What is your favorite Ohio State tradition? Is there anything you wish the student body knew about you, and if so what would it be? It’s Not Too Late to Join a Student Org! After already completing your first semester at Ohio State, some of you may feel it is too late to get involved on campus. While some students get involved right away, many students choose to focus on their classwork when they first come to school, and choose not to have outside distractions. With all of the changes and adjustments, your first semester is often more overwhelming than many would assume. 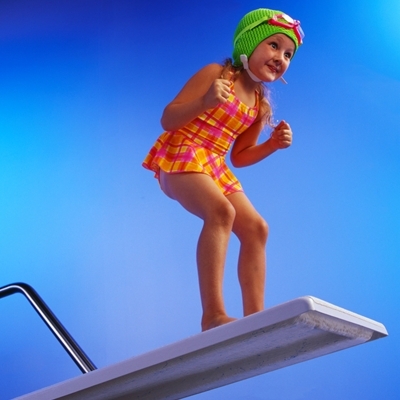 While some dive in with full force, many choose to test the water first! After the rush of Welcome Week, and the fall and spring involvement fairs, you may fear it is pointless or too late to join an organization partway through the year. However, it is not too late take that jump! As a matter of fact, many organizations are still seeking or recruiting members! We’ve talked to a few organization leaders from across campus who can provide a bit more information about some of these available and awesome opportunities. We are a new organization on campus and this is only our second semester, so we are looking for more people! It’s part of a national organization and members can apply for scholarships and grants through it. We usually have pizza. It’s better late than never to join an organization. First-year students should apply for a summer Buck I Serv trip because it’s a great way to give back to the community, spread the Buckeye spirit and meet new people! It’s a great way to meet new people and meet people with similar interests. Members can benefit from this organization because you learn how to dance tons of different ballroom dances and can take your new skills to places around Columbus like La Fogata, which has salsa dancing nights. We are constantly growing and looking for new members. Great way to meet new people (lots!) and learn great things about yourself. With more friendships comes greater diverse connections! All Industrial Engineering students should join because we go to both the regional and national conference to meet other IEs, learn about the major, and connect you to job opportunities. Leadership positions are available. We host a wide range of meeting activities! There’s something for everyone. Between current events jeopardy and different service projects, the CLC is a great way to learn about your community and make a difference in it, too. The more people we have, the bigger potential impact we can make. If you’re a Muslim or interested in Islam, I definitely recommend coming to our weekly general body meetings on Fridays at 6 p.m. in the Interfaith Room on the 3rd floor of the Union, where we host world-renowned Islamic scholars to learn more about the Islamic faith. Ohio Staters, Inc. is the oldest student service organization on campus that promotes the welfare and traditions of the university. This org. helps connect students with the deep roots of the university and network with faculty while creating a close community of thinkers, believers, and doers. It’s specifically for people interested in law (it’s a pre-law fraternity). 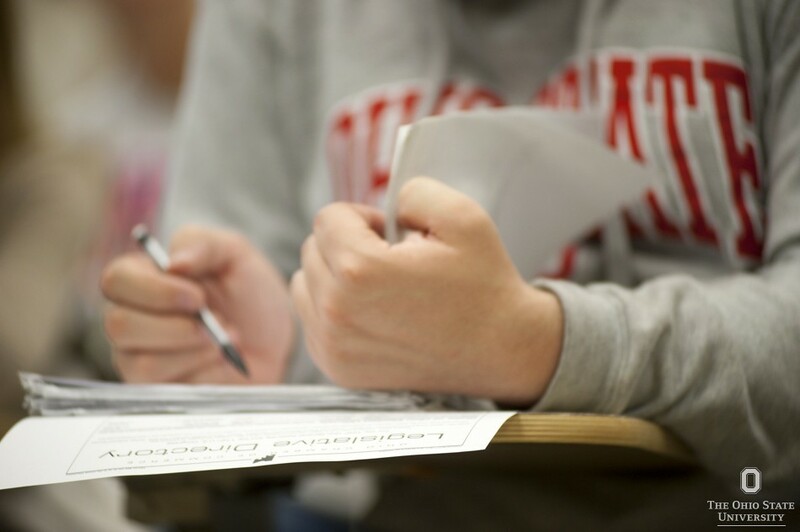 We learn if law school is for us, how to apply, what to expect on the LSAT and in law school. Also, we all become super close and have tons in common! Phi Delta Epsilon is always looking for new members who want community and support through the pre-med process. 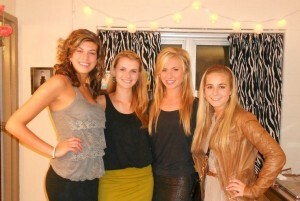 Meet people who have taken similar classes, form study groups, and be friends! They should apply to Psych Ambassadors early this semester if they’re psych majors because we do a lot of working with incoming freshmen and program a lot of social and educational events. Also, we’re super tight with the department and that’s awesome! This is a fantastic organization if you’re interested in children’s rights. We educate, advocate, and fundraise on behalf of the U.S. fund for UNICEF to help children in over 190 countries receive an education, get clean drinking water and nutritious foods, immunizations, help with HIV/AIDS, and provide relief in emergency situations. UNICEF is the most efficient humanitarian organization in the world and all the money we raise is doubled through an outside fund! We also talk about current issues affecting children! We’ve come to one of the most exciting weeks of the year–Welcome Week! The week when new friendships are born, giveaways are endless, and free and exciting events take place every day. You may be familiar with some of the big events: the Student Involvement Fair, the President’s Convocation, Community Commitment, Buck-I-Frenzy and the Welcome Week Concert. However, I’d just like to share a few awesome #welcomeOSU opportunities that you may not know about. Click the links for event details and get excited for this year’s wildly wonderful Welcome Week! The President’s Picnic. 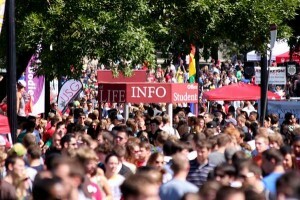 The involvement fair is sure to gather many people on The Oval in the afternoon. While you’re there, be sure to sample some of the best locally-produced barbecue options! 8th Floor Improv Presents: The Secret FREE Show! Begin your week with a laugh; stop by the Union at 8 p.m. to watch one of Ohio State’s best comedy groups! Ohio State Ice Bucket Challenge: Soak Michigan. After the Columbus Welcome event, Undergraduate Student Government hopes to make history by creating the largest “Ice Bucket demonstration known to man.” Bring your own bucket (and perhaps a towel) and help raise awareness for ALS! Wipeout. Want a challenge? 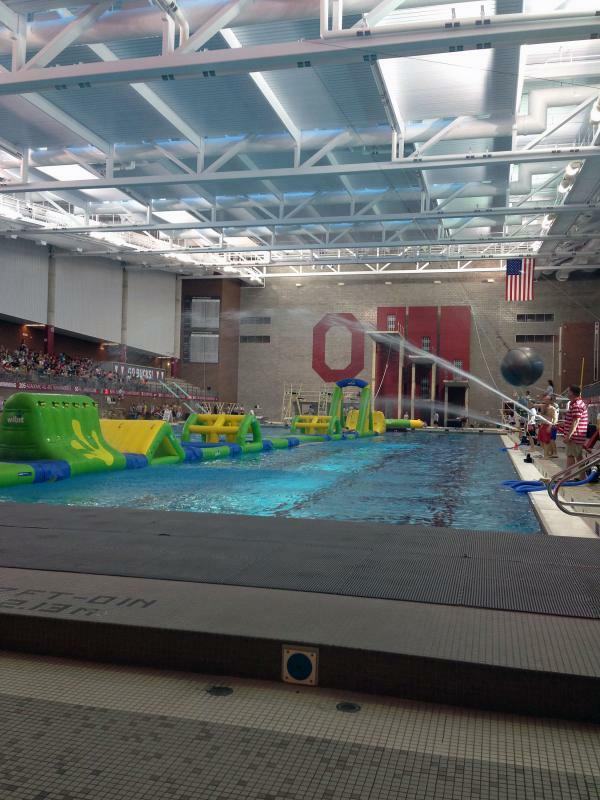 Try your luck with an inflatable obstacle course that stretches the length of an Olympic-sized pool! Participate or come watch the show at the McCorkle Aquatic Pavilion at 6 p.m. Tired from a long day? Sit back and watch the show! Fishbowl Improv will give you a good laugh or if you want to be amazed, come to the RHAC Magic Show! RHAC Late Night Breakfast. Come to Kennedy Commons and with only 2 meal blocks, enjoy some late-night breakfast food! The Instant Nows – Art Exhibition. Come check out some of the artwork created by your fellow Buckeyes! Like sports? Want a chance to win a coveted intramural champion t-shirt? Head toward south campus for the 3-on-3 Basketball Tournament or north campus for the Sand Volleyball Tournament, no preregistration required! Fighting Cancer Fitness Challenge. Come to The Shoe to speak with survivors and participate in physical challenges to support the cure for cancer. Trivia Night. Play some trivia and learn more about Ohio State’s foreign languages! LGBTQ Welcome (Back) Mix & Mingle. Come discover our diverse and vibrant LGBTQ community! BBQ Block Party. 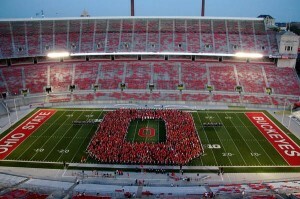 Hang out with and learn about two of the largest student organizations on campus: Block “O” and Buckeye Barbeque Club! There will be giveaways, games, and free food! Boats and Battleship. Experience what it’s like to “kayak over a waterfall,” play “battleship,” and participate in various other water games! Drums and Dough. Experience Ohio State’s diversity through a variety of live performances, free food from around the world and lots of fun activities! 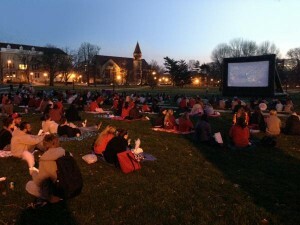 Movie on The Oval featuring Captain America. Come out with your new friends to enjoy yummy snacks, cool drinks and a movie! Looking to the future? 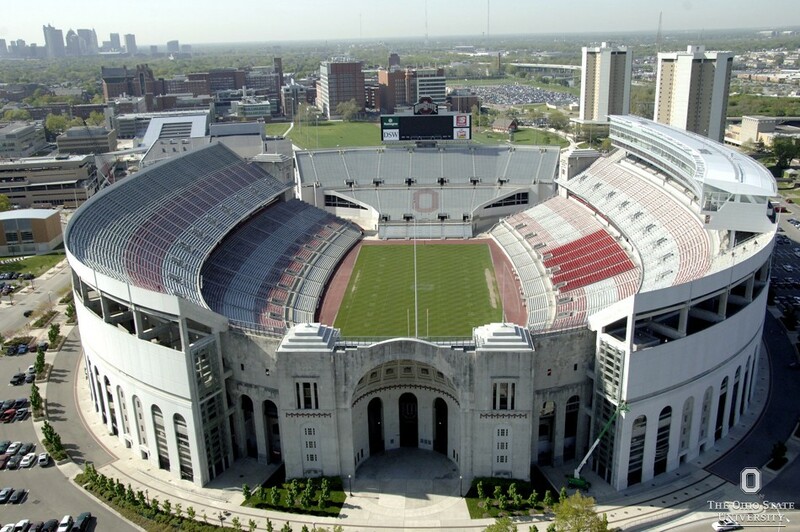 Check out the 2014 Buckeye Careers Campus Job Fair or the Career Fair Crash Course. OSU Is Sweeter with You. Come grab a cupcake with the Ohio State University Alumni Association and learn what they can do for you! PULL LEFT reception with artists and curators. Enjoy art exhibits? This reception features a contemporary Chinese art exhibition. Dump & Run. 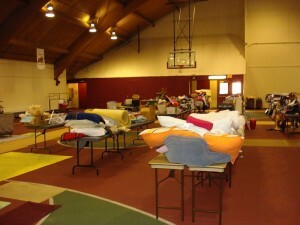 Come to the JO North to shop at Ohio State’s very own yard sale! Check out some some of the fantastic deals! This is Your World: Serve, Learn and Lead in it! Listen to Caribbean rhythms, watch Latino and African inspired dances and have some dessert with MUNDO! See what a global experience has to offer! OUAB Presents – Welcome Week Concert — Come to the South Oval and watch the performances of Capital Cities, GRiZ and Captain Kidd! Dancing With the Stars. Participate in a free ballroom dancing class for beginners, no experience required! Welcome BBQ Night. Learn more about healthy eating and dining options around campus! I look forward to seeing you at some of these awesome events and I hope you have an amazing time with your first taste of the Buckeye Spirit and the incredible Ohio State community. Before beginning my first year at Ohio State, I was aware of many new changes: more responsibilities, a new city, a whole new living environment, larger classes and, of course, independence. However, there were many things that I did not anticipate. 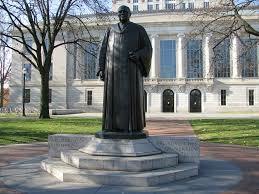 Now a ripened old senior, I hope to share a few tidbits of advice with the newest Buckeyes. I have included four problems you may not expect to run into your first year and my tips for finding a solution. Perhaps Stow, Ohio isn’t bursting with things to do but my chipped and dented Honda Accord got me where I was going. For those of you who used to drive around town, dancing from your seat and blasting music from your beloved high school vehicle, be ready to say goodbye to your wheels (unless you are a lucky commuter) and say hello to the three Cs of college transportation. COTA: Bus transportation to the Columbus area–take the #2 to travel down High Street! 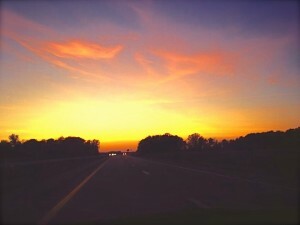 CARPOOLING: Need to go home for a long weekend? At such a large school chances are someone in your residence hall is from the same area or state as you, so make friends and save your parents some driving! Often the simple things–the ones you overlook–are the most difficult to balance. Get ready for the BIG DADDY of the little things: TIME MANAGEMENT. With new opportunities every day, so many fun things to do, and great people to meet, you may find that it is hard to follow a regular schedule. My recommendation? Take time to make trips to your favorite dining hall with friends, go for walks on the Oval, join a club or attend your campus events; however, find balance between studying, socializing and SLEEPING (in class is not the solution). True story: By not taking time for our health, my roommates became susceptible to illnesses and my brief bout with mono from high school came back full force to strike even harder in college! 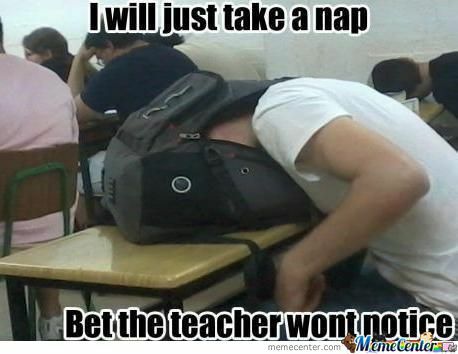 Taking time to rest could have saved me from falling asleep on my calculus final! Create a healthy schedule and set aside a reasonable amount of time every night to sleep. Make this a priority! 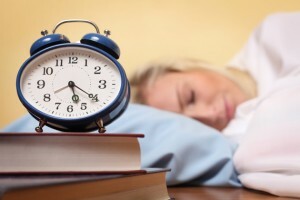 If you risk starting your homework at midnight, be prepared for the exhaustion to take a toll on your body, immune system and your effectiveness in school. One of the biggest adjustments I had to make in college was when I became ill and had to make an appointment to the doctor for the first time by myself. I was sick, lonely and absolutely TERRIFIED. Be prepared for small living quarters! The common cold can spread very quickly if you aren’t diligently washing your hands and avoiding shared drinks and food. Exercise, get plenty of sleep, and eat balanced and nutritious meals. 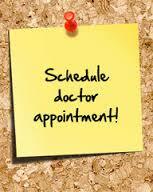 Don’t be afraid to make an appointment! When I called ahead and made an appointment at the Wilce Student Health Center, I was warmly welcomed by the ladies at the front desk; they called me “baby” and I never wanted to leave (I may form attachments easily). I met with a wonderful doctor, received my diagnosis and was soon on my way. If you need a prescription, you can even pay at the full-service pharmacy using your BuckID cash! One thing that I was totally unprepared for was the amount of work I would be faced with in college. In college, your schoolwork becomes your full-time job. Although you may only be in class for about 15 hours per week, the amount of material and homework you are expected to cover tends to amount to at least 40 hours per week. That means an average amount of 5-8 hours of additional studying every night. 1. 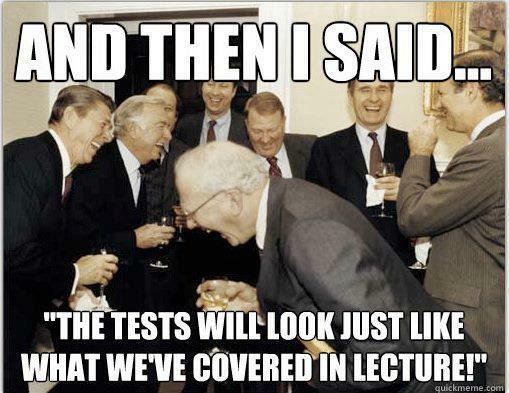 BE PREPARED, BUDGET YOUR TIME: Know what is expected of you and keep up with your assignments! 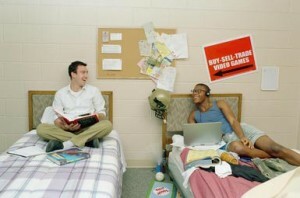 Make schoolwork a priority during the day and between classes so that you have more time to relax during the weekend. 2. FOLLOW THE SYLLABUS: Unlike high school where you might have had a rough outline for what you will learn during the year, college professors tend to follow the assignments and readings on the syllabus PRECISELY. You will not be reminded of the work you are expected to be completing; instead, you’ll use your syllabus to track those deadlines. You will be expected to come to lectures prepared, meaning half of the learning process is expected to take place during your own time. 3. SEEK OUT RESOURCES: Struggle with learning things from simply reading or by yourself? Do not fear! At a large school, there are ENDLESS opportunities for you to get help. However, it falls on your shoulders to seek them out and actually show up. Group study sessions: learn from your peers! Office hours: weekly meeting times set aside by your professors to speak directly with them! Free tutoring: in mathematics, chemistry, writing, etc. and in your own residence halls! I hope you are as eager to begin your journey as I was and that these solutions lead to a successful first year!